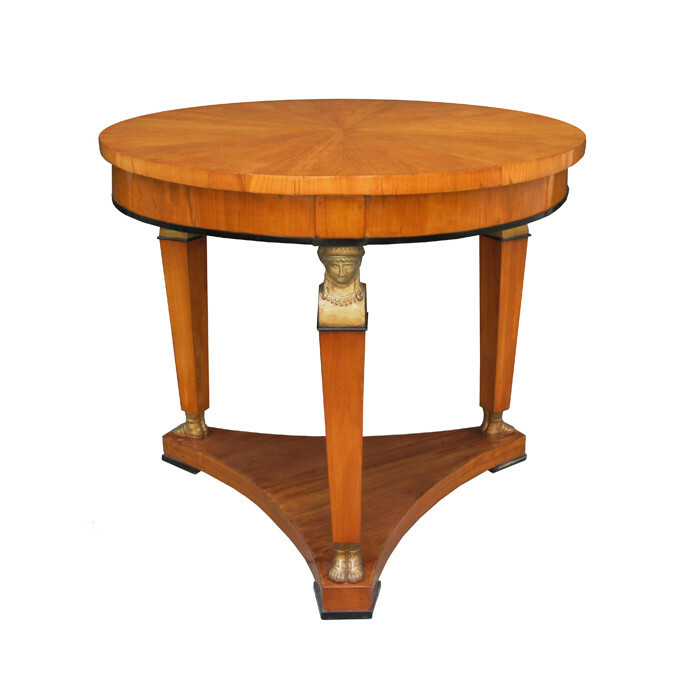 A fine Biedermeier center table. Cherrywood with ebonized fruitwood details and carved giltwood caryatids. Dimensions: H:31 Diameter: 36 Inches.